Here at North Opticians we offer an advanced eye test, which includes an OCT scan. But what is it? OCT imaging is offered to give your eyes a thorough examination using a 3D scan of your retina. OCT is painless and very quick! 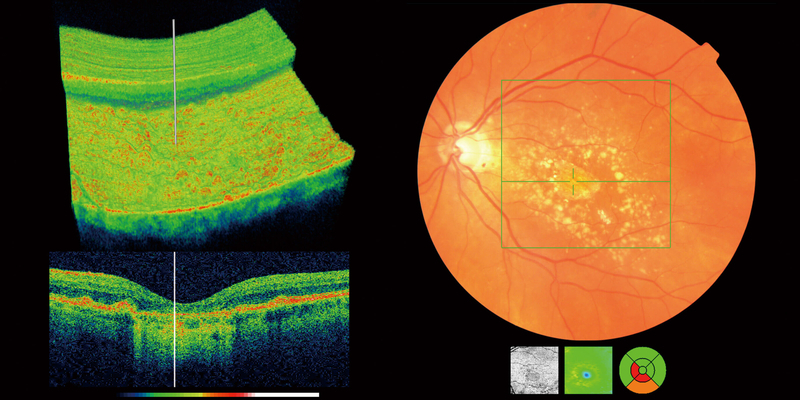 Far superior to traditional retinal photography, Optical Coherence Tomography (OCT) is an extremely advanced health check for people of all ages. It is quite different to digital eye photographs offered by your doctor or other opticians, since they only image the surface of the back of the eye. OCT scans all the different layers of the retina revealing parts that cannot be seen by any other instruments at the opticians. How does an OCT scan work? It’s similar to an x-ray, though the OCT scan uses light waves rather than sound waves to map the surface of your eye. It’s completely safe as there are no harmful x-rays involved! It’s basically a powerful 3D photo of your eye. As well as this it can be used to search for nerve disorders such as the beginning of glaucoma, though as it uses light waves the OCT scan is not effective in diagnosing cataracts. We pride ourselves here at North on offering fantastic in-depth services at competitive prices, so if you’re looking for peace of mind and a thorough exam, look no further! Why not book an advanced eye test with us today? Simply follow the link at the beginning of this post or use the navigation bar and find advanced OCT scanning under eye care services. https://northopticians.co.uk/app/uploads/2018/07/OCT.jpg 400 800 North Opticians North Opticians2018-07-26 18:50:292018-07-26 18:50:29What is an OCT scan?